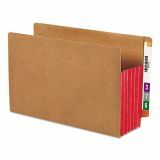 Smead 5 1/4" Expansion File Pockets, Straight Tab, Legal, Redrope/Red, 10/Box - Favored by law firms, these extra-wide, end-tab pockets hold standard top-tab folders without bulging thanks to strong, fully lined Tyvek gussets. 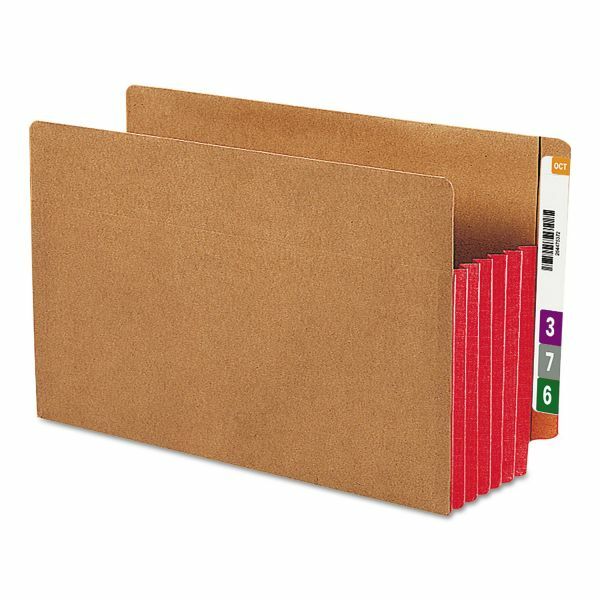 Organize depositions, discovery and correspondence for a single client or subject matter in one pocket, or use these extra-wide pockets for transferring desk drawer folders to central files. Design features a front panel gusset reinforcement and straight-cut tab for plenty of labeling space. Pocket expands 5-1/4 to hold your important legal-size documents.